This last week had a bunch of things worked on, yet nothing really coming to a finish. Frustrating to post about, but after I finish the month's t-shirt quilt, I usually end up working on whatever I can/want to before the next deadline. Of course, some of these things have deadlines, too. Like another t-shirt quilt. The top was made by a friend, for my high school band director. I volunteered to quilt and bind it. It'll be gifted tomorrow, so finish post after that. And these Superman capes for my cousins' kids. 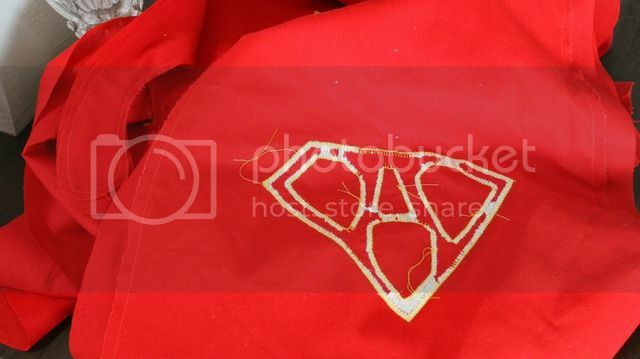 The applique is done, they're stitched together - I just need to turn them, topstitch them, and do the clean-up work. And then make a Thor costume for my nephew for the same party. And Ripples has a deadline. I sewed all the binding pieces together, but I haven't pressed it yet. 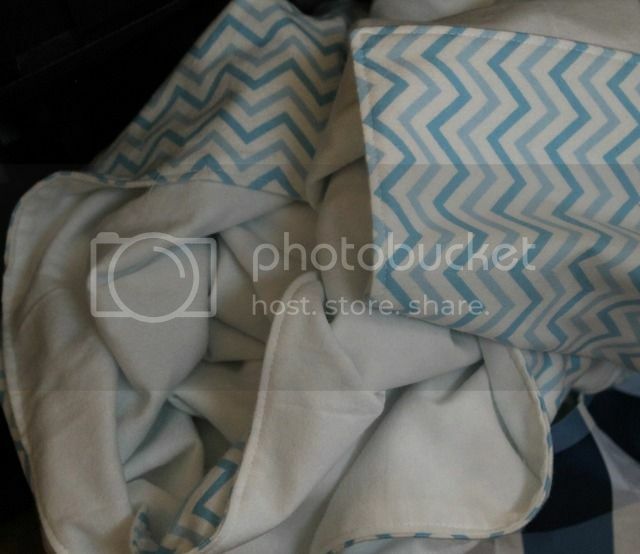 Or trimmed the quilt top so the binding can be attached. And I finished up the squadron baby blankets. But they need threads trimmed and a run through the laundry and delivered. And speaking of deadlines - Shivaun isn't due till Christmas. 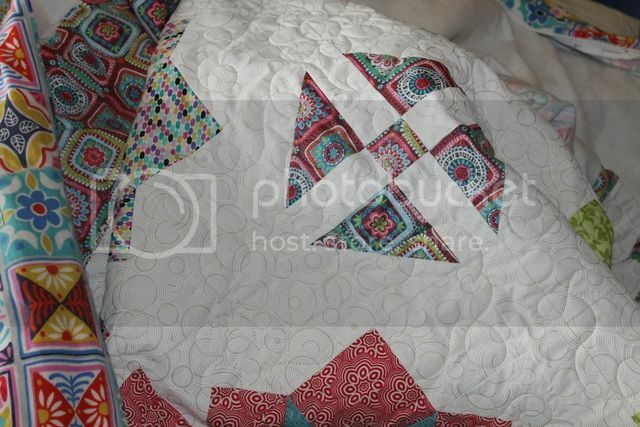 I started quilting her after the t-shirt quilt last week....and the tension was messed up. Second time I've started a Christmas gift and will have to fix the stitches. I think Christmas is not a fan of being done early. 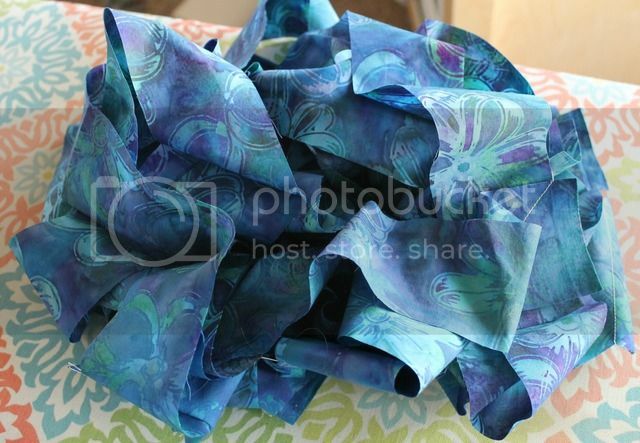 In non-deadline sewing I finished all the blocks to Taffy! But I haven't had a chance to lay them all out and make them a quilt top. 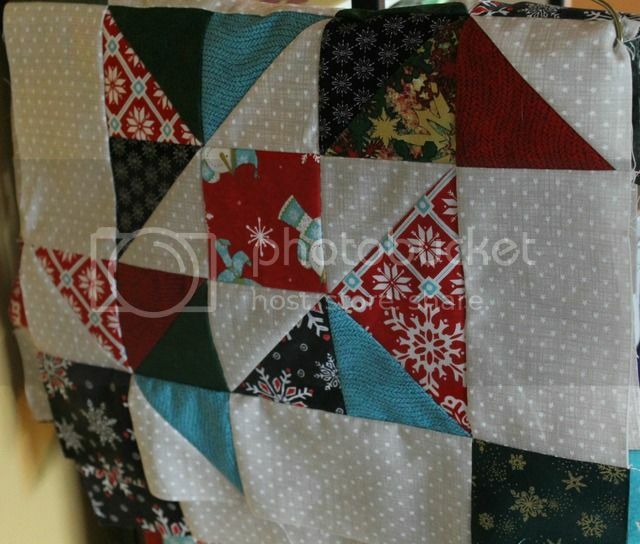 Because since it's a Christmas quilt, I'm sure it will sabotage itself somehow. 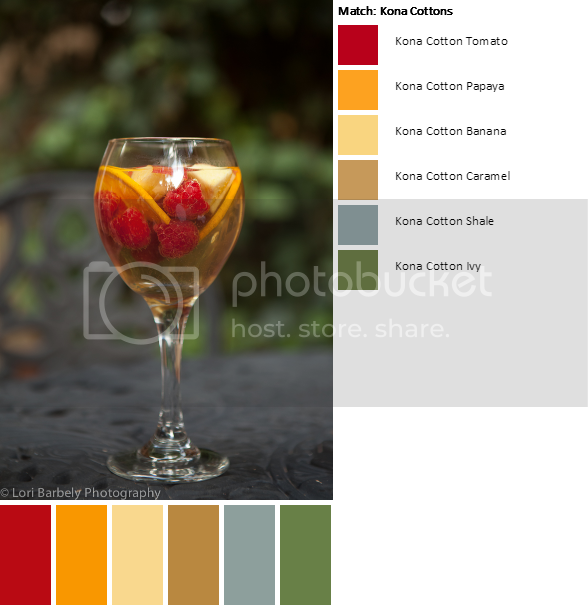 And the palette of the week is "summer sippin'" - which to sweet Mormon Jennie is just lemonade. I....am not Mormon. Summer is for sangria. Lots and lots of sangria. See also: BoMs Away @ What A Hoot.